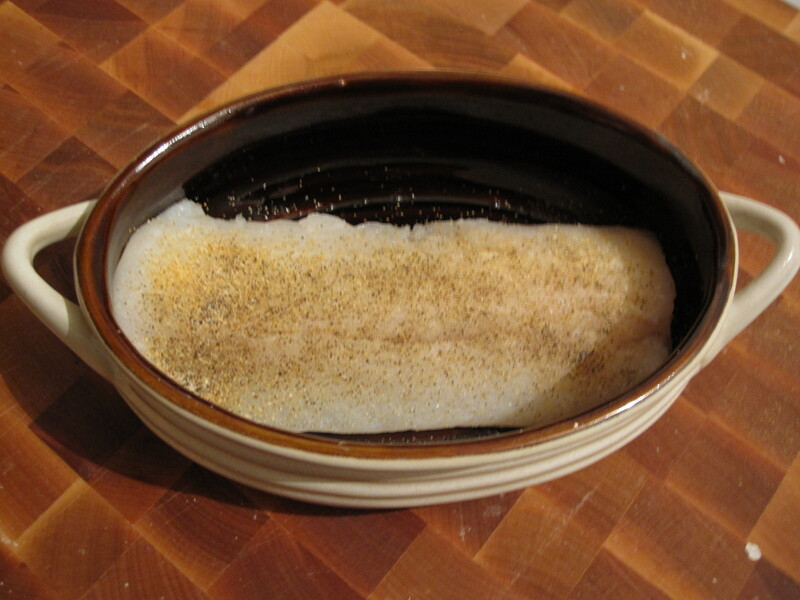 I’ve always liked cod and this was a quick and easy preparation. It was a good winter dish also. 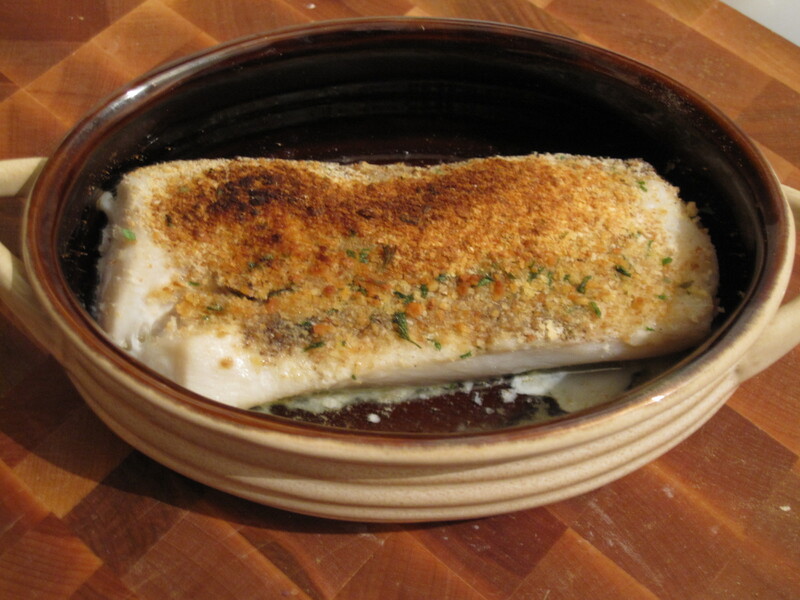 Cod is not the cheapest cut, but is pretty reasonable and really tasty and flaky when cooked well. I had 3 filets that added up to a little over a pound and put each in an individual crock. I dusted them with salt, pepper, and garlic powder. I sprayed the crock with a little bit of oil too. 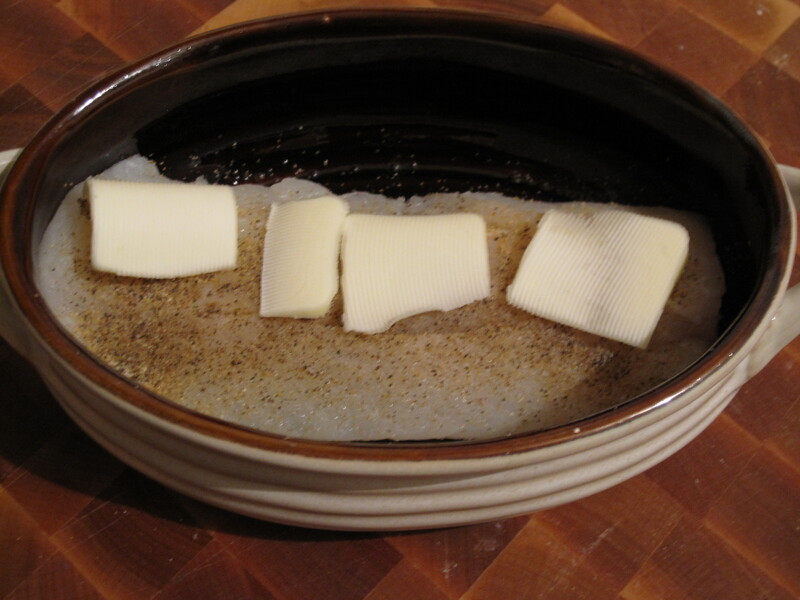 Next I sliced about a tablespoon of butter into thin pads and spread them over the cod. The broiler was heating up during the prep. 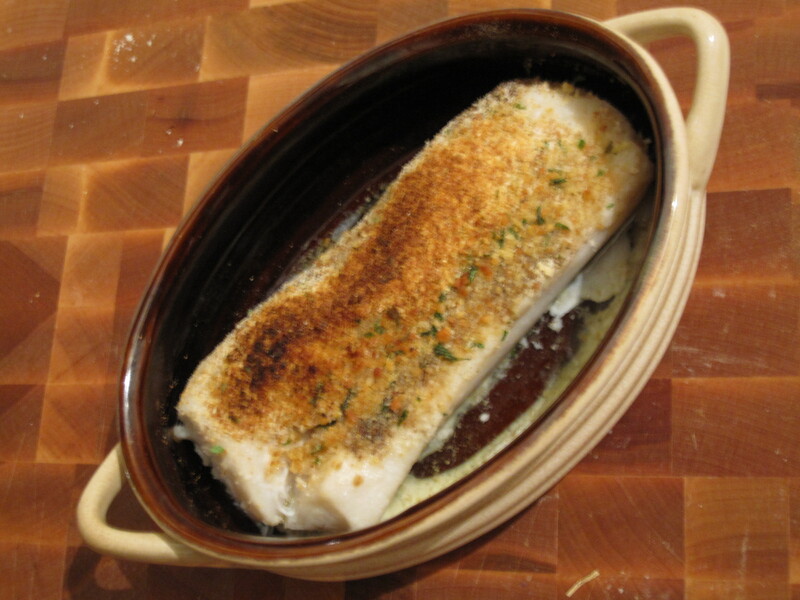 I broiled the cod for about 5 minutes, pulled them out, and sprinkled with breadcrumbs. Then sent them back in for a few minutes but keep an eye on them so the breadcrumbs brown, but don’t burn. The fish was moist and flaky and I always liked how it was served in an individual dish like this in restaurants. It was kept in it’s own juices and melted butter which made great for a cut bite taking a quick run around the inside of the crock before heading to the mouth! It was about 15 minutes total from prep to eating with this dish that we paired with some steamed veggies. This entry was posted in Seafood and tagged breadcrumbs, broiled, butter, cod, crock, easy, flaky, garlic powder, moist, pepper, quick, salt. Bookmark the permalink.